Exploring rigorous activism-oriented scholarship can increase universities’ contribution to society. 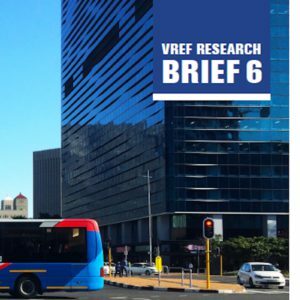 This research brief, prepared with key author Herrie Schalekamp for Volvo Research & Education Foundation (VREF) in 2017, discusses the University of Cape Town’s work amongst adult learners who have extensive experience of public transport operations but little exposure to higher education. • Trusted relationships with paratransit operators, and partnerships with government, are key to engaged scholarship. • A university, with little vested interest in transport reform outcomes, is well positioned to develop such relationships. • Where adult students already have expert knowledge and experience, the primary mode of interaction should be critical discussion. • The learning experience needs to be continuously co-designed with students, and students’ practical needs re-assessed.